The Gel-Rocket brings exceptional value and performance season after season. This season offers a lighter weight upper and increased gum rubber on the outsole for improved traction. 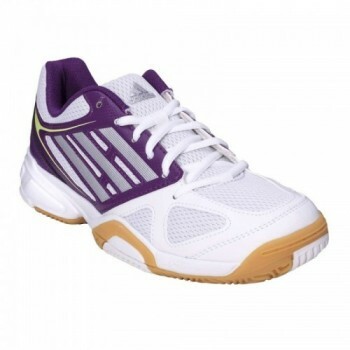 Updated styling and design will continue to make this series the shoe of choice for recreational court sport players everywhere. Squash players will appreciate the traction of the gum rubber outsole as much as the lightweight support for which this court shoe is revered. 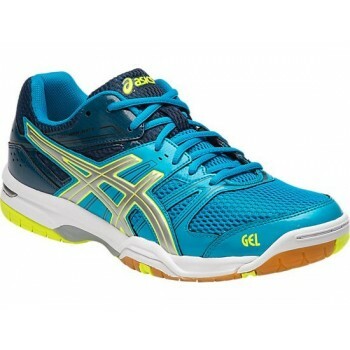 With exceptional fit, enhanced traction and upgraded, shock-absorbing cushioning, our GEL-Rocket 8 model is a top-level shoe for an entry-level price. Known as a longtime favorite of beginner and intermediate court players, the latest GEL-Rocket features our stabilizing Trusstic System technology, gum rubber on the outsole for traction and our signature Forefoot GEL technology cushioning system. The GEL-UPCOURT is a squash shoe that can do it all. So if you’re looking to get into squash, it’ll be there for you all the way.You can keep your footing thanks to the high-grip outsole. And serving and blocking are easier with aflexible, comfortable upper. When the fastest courts aren't fast enough, you probably have the SPRINT PRO on your feet. This men's indoor shoe combines super light weight with amazing speed while keeping your foot stable and protected. What makes the shoe special, among other things, is the unique low midsole construction, which keeps your foot in very close contact with the court enabling you to move faster. Since the faster you go, the more stability you need. Aggressive recreational players will love the fast, lightweight feel of the Kaos Devo. It's speedy, progressive design is sure to satisfy the appetite of any squash enthusiast looking for something that's not traditional.